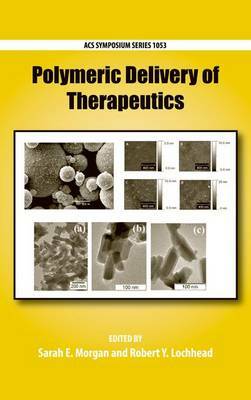 Polymeric delivery of therapeutics applies to a wide range of applications, including medical, pharmaceutical, cosmetics, personal care and nutrition markets. Recent advances in polymer synthesis and characterization techniques, most notably new controlled living polymerization routes for synthesis of targeted molecular architectures and advanced techniques for manipulation and characterization of nanostructures in polymer matrices, enable advances in therapeutic delivery that were unimaginable a few years ago. Health, medical and personal care markets represent the fastest growing markets in the chemical industry in the US and world wide. This symposium series book includes contributions from academic and industrial researchers developing controlled polymer structures for delivery of therapeutics in biomedical, pharmaceutical, personal care and cosmetic applications, and includes a summary of intellectual property considerations in the field. It is intended to provide relevant and timely information for those involved in research and development in this rapidly growing field. The book is organized in four sections. The first section includes two comprehensive overview chapters, one devoted to advances in polymeric delivery for the cosmetic and personal care market and the other devoted to polymers in nano pharmaceuticals. The next section includes contributions on synthesis and analysis of polymers with controlled architectures for biomedical applications. The third section is devoted to industrial contributions with state-of-the-art developments in personal care applications. The final section provides information on recent trends in U.S. patent law for polymeric delivery of therapeutics.